A breakdown of pretty much every Facebook you need to know about in Paris. If you feel like we’ve missed one do let us know. The following groups include their membership numbers along with the descriptions the admins have provided. 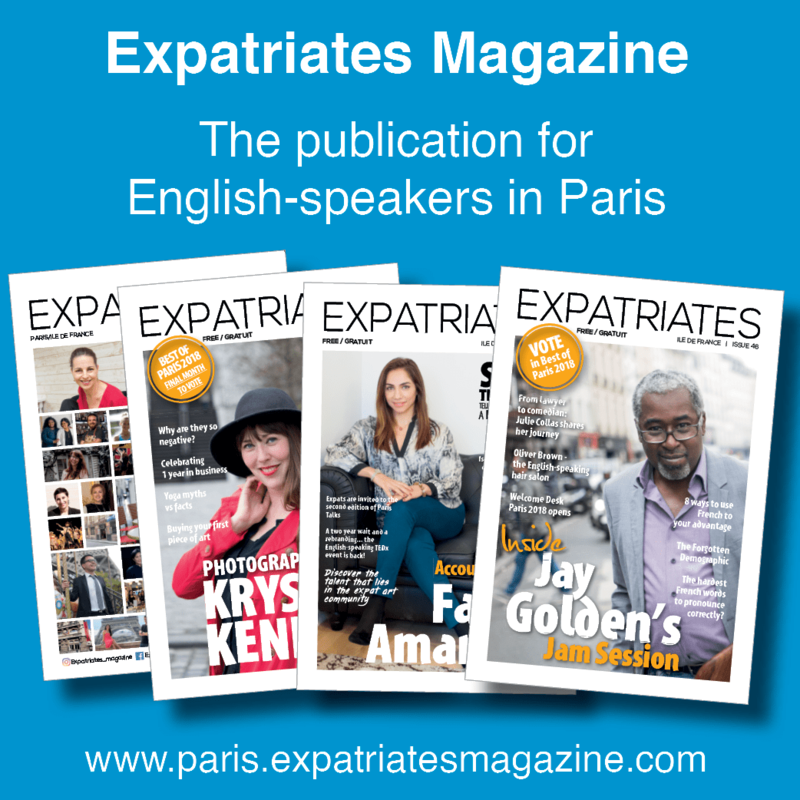 Expatriates in Paris – 27,851 members. Let’s start with one of our own 😉 -Welcome to Expatriates in Paris. If you would like to join the group please answer the 3 questions you have been presented with. Once we receive your 3 responses we will approve your request to join. Indians in Paris / France 24,787 members. Indians in France – IIF is a platform created in 2007 by Sourav Choudhury to serve the Indians and friends of India by providing with a place where we can interact, socialise and help each other across associations, regions and languages. The project started as an independent website with a phpbb forum (for those who know what does it mean), and later in 2009 was moved to Facebook as the later appeared to be a more strategic option for this project. Since then, this project has helped tens of thousands of Indian community members to structure their life in France. NEW – Americans in France – Open & Kind group 369 members – Let’s start our own Americans in France group! South Africans in Paris – 638 members. South Africans in Paris (SAiP) is an officially registered association in France (Asc# W751250353). Libanais à Paris – 7,124. Ce groupe est pour tout jeune Libanais habitant Paris. Mexicanos en Paris – 18,676 members. Este grupo es para la comunidad mexicana en Paris que busca recomendación de algún profesional en específico, que quiera descubrir la ciudad o compartir tips. Iraniens de France– 6,544 members. ITALIANI A PARIGI (Info utili & eventi) -11,800 members. Questa comunità nasce con l’obiettivo di creare nuove amicizie, dare una mano nel risolvere i problemi legati alla nuova avventura parigina (Casa, Lavoro, Tasse, etc) e organizzare/condividere eventi. Iraniens de Paris – 834 members. Indian / Indo-French parents of school going children – 72 members. 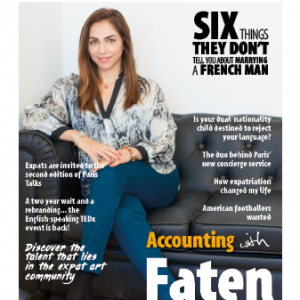 Aussie Expats in Paris Meetup group – 3056 members. 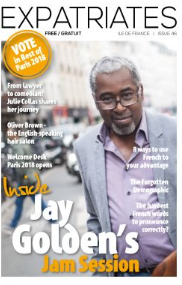 The Group is open to anyone really: Aussies moving to or already living in Paris; French planning to, or having already visited Australia; or any other expat or French person in France interested in meeting expats in Paris socially. The Group has over 1000 registered Meetup members and typically averages between 30 and 60 people for any given social event, comprising about 70 per cent aussies, 20 other expat and 10 per cent French. American Expats in Paris – 10,452 members. A free group for American expats and like minded internationals living in Paris. Being an expat in a foreign country makes it impossible to keep the same old friends, so just make some new ones! Join us if you want to meet friendly expats in Paris! Expats Living in Paris – 7,158 members. This is a community for people LIVING IN PARIS. If your profile shows you don’t live in France, you won’t be added. If you do not answer the questions, you will not be added. Expatriates in Yvelines ~ West of Paris – 829 members – Welcome to all who live in Yvelines Department, a region west and south of Paris. The place to ask questions, organise social events to better know Yvelines, support your local communities, events, and charitable concerns. Let us strive to make this a thriving community of care and share in the Vyelines. Community, charitable events and non profit activity posts are welcome at all times. Commercial advertisements and blogs are allowed to be posted when invited. Le Cercle des Cadres Marocains à Paris – 15,607 members. Depuis un moment, je pensai à créer ce groupe pour permettre à tous les Cadres Marocains d’échanger entre eux, voire s’entraider. Ce groupe, comme son nom l’indique est dédié aux cadres marocains qui vivent actuellement à Paris. Paris 1 – 43,673 members. Ce groupe sert aux parisiens, pour s’échanger petites annonces immobilières, demandes de collocation, bons plans sorties, ou simplement pour rencontrer des gens sur Paris! Paris 2 – 2,224 members. L’inde à Paris -5,377 members. Pour tous les amoureux de l’Inde qui vivent en Région Parisienne et qui cherchent des adresses colorées sur Paris/RP (resto indiens, boutiques indiennes, épiceries, cours de danse…). PARIS ET LES MERVEILLES DU MONDE. – 8,975 members. Social Women (30+) in Paris – 1,306 members. Born before 1990, female, and living in Paris? Like making friends but tired of all those young’uns on your lawn? This is the place for you. This is a SOCIAL group NOT AN ADVERTISING GROUP, but we do have two special days… 1. Wednesdays: “Where do I live” Wednesdays help you find a new apartment or rent out your old one. Think of it as a matchmaking service, but for real-estate. 2. Sundays: “Side Hustle” Sundays give you a chance to pitch us your awesome business or money-making scheme. Self-promote to your heart’s content! Health and Medicine for Women in Paris and Ile de France – 505 members. Welcome to “Health and Medicine for Women in Paris and Ile de France”. This group is a *private* (meaning that non-members cannot, in any way, see our posts, likes, and comments) and safe, supportive community for English speaking women living in Paris and Ile de France, who wish to discuss health and medicine related issues with members who help and care for each other. 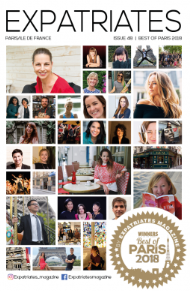 Paris for her – Women in Paris – 856 members. Paris for Her – Women in Paris is an inclusive, international community for women to help them experience the BEST while living in our beautiful City of lights. Feel free to ask for recommendations and advice and to post anything you need to know about Paris in this group. We all know someone who knows someone who can help and provide you with a good advice! Whether you define yourself as an employee, an entrepreneur, a mother, an expat, a student, an intern, a job seeker, a business owner………. You are first and above all a Woman, aren’t you? 🙂 Of course we have different needs and expectations at different stages of our life. Be sure that there is someone out there who can help you advance personally or professionally! 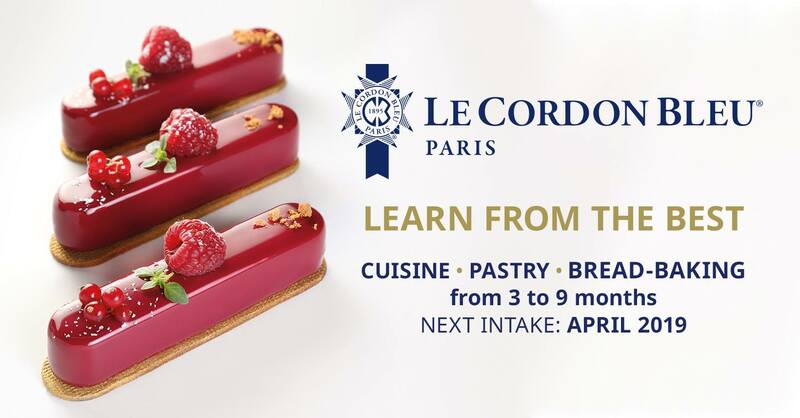 Are you ready to enjoy Paris now? PS: Paris for Her is an apolitical, non-feminist and non-religious community. Members are free to express their thoughts and opinions in a polite and kind way. All trolls, hate speech and inappropriate behaviour will lead to a ban of the group and the network without warning. Social Girls in Paris (4,433 members) – Social Girls in Paris is a community for women to discuss, connect, and experience the beautiful city of light with others. 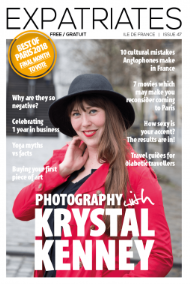 English Speaking Mums/Moms living in Paris – 2053 members. We welcome all mothers, mothers to be, step mothers and women trying/wanting to become mothers. We do not tolerate any personal attacks against the admin, public shaming or gross complaints against how the group is run. If you have any issues, please send admin a private message to discuss. Remember, if you don’t agree on a post, scroll by! No need to cause public drama. Business posts are for Mondays and Thursdays under the business thread only. English Speaking Moms ~ West of Paris – 1,616 members. Group for any English speaking moms living in western suburbs of Paris and Paris. Please no MLM recruitment posts… Will remove but you can post in file! So check out the files too for more ideas! SPAN Paris – 73 members. SPAN Paris is a parent information and support network for families of children with exceptional learning needs, who are differently abled, have chronic medical conditions, or who have other special needs. We welcome families with autism, Down syndrome, and other visible or invisible needs. We welcome families in or around the Paris, France area. Salsa/Bachata/Kizomba Paris – 6,519 members. Référencement des soirées et évènements latinos sur Paris et la région parisenne. De la joie et de la bonne humeur !!! Lindy Hop Paris – 11,890 members. Upside Down Sorties Paris – 3,569 members – Upside Down c’est avant tout une communauté accompagnée par une équipe qui organise des sorties. Accessible à tous, nous souhaitons mettre en avant l’ouverture d’esprit et attiser votre curiosité. Tous nos événements sont publics afin de privilégier le partage et les nouvelles rencontres. Notre mot d’ordre ? S’amuser tout en se respectant ! À travers les différentes sorties proposées, vous trouverez votre bonheur quels que soient vos goûts et votre budget. Paris Expat Dog and Cat Owners – 1,145 members. Welcome to Paris Expat Dog and Cat owners. This group is for expat dog and cat owners in and around Paris. Questions or recommendations about, vets, dog hotels, dogwalking groups, pet food, pet friendly holiday accommodation, pet sitters etc etc.? Do share! ESN ERASMUS PARIS 2018-2019 (Officiel) – 7,835 members. Official group of Erasmus and international students of Paris 2018-2010. Institutions and associations linked directly to the university are welcome. Extra-university structures and companies abstain. Economie – Licence 3 – Université Paris 1 – 2,828 members. Bienvenue à tous!! Ce groupe est fait pour les étudiants en 3ème année d’économie. Vous pourrez y poser toutes nos questions, se donner les infos concernant les cours: profs absents, changement de salle… Tout ce qui peut nous être utile. Job in Paris // Travail à Paris / Emploi – 39,811 members. Cet espace est là pour faire circuler informellement les offres d’emploi : CDI, CDD, CDDU, contrat d’apprentissage, Service Civique. Cela inclut donc tous les types d’emplois aidés.  GIRLS JOB – PARIS ♥️ 35,010 members -JOB 100% GIRLS. Extra, mission ponctuelle, CDI, CDD, stage, alternance.. Bienvenue à toutes! Nous posterons régulièrement des missions minimum 5 à 10 par jour! Nous trouvons le STAFF qu’il vous faut en un temps record! Pour postuler commentez les publications en indiquant si vous avez de l’expérience. Vous avez des missions à proposer ? N’hésitez pas à les poster ici. Les filles, soignez vos photos de profil, répondez aux annonces de façon professionnelle (sans fautes d’orthographe!) & ayez vos CV actualisés prêt à être envoyés! Job Etudiant sur paris – 35,260 members. Bienvenue sur le groupe “job etudianta Paris”. Il est reservé aux personnes souhaitant publier des offres ou de demandes d emplois ou de stage. Ce groupe est principalement orienté vers les étudiants donc sur le “jobbing” et les stages. Nous esperons que vous y trouverez le job ou l’etudiant de vos reves! Casting et Figurants – Paris – 26,607 members. Notre but est de mettre en relation les individus qui recherchent ou font passer des castings grâce à une série de mots clés. Si vous recherchez un profil il vous suffit simplement de publier une annonce pour dénicher les talents de demain. Casting Paris – 44,555 members. Il faut une date et une mention de collaboration, défraiement ou rémunération. dans vos annonces. We are creatives paris, photographers, dancers, modeles, musics, casting, mua– 8,535 members. Casting by Arts in Paris – 24,203 members. Consultez et publiez des petites annonces dans le domaine de la mode, du cinéma, de l’événementiel, de la restauration, de la vente, de l’art et de la culture et ce dans toute la France et à l’international. Anglopreneurs – 1,200 members. A group for Anglophone entrepreneurs and budding entrepreneurs in the Ile-de-France region to meet, chat, network, solve problems, create opportunities and lend each other some support. Wanted Community Paris – 456,401 members. Tu viens de rejoindre la communauté Wanted, qui compte plusieurs centaines de milliers de membres en France, dans les DOM-TOM et à l’étranger, et nous te souhaitons la bienvenue. 1) Wanted Community, c’est quoi ? Une communauté d’entraide entre particuliers fondée sur des valeurs de solidarité et de vivre-ensemble. Les Bonnes Affaires Entre Particuliers Paris – 33,308 members. Ce groupe est ouvert à tous les particuliers qui souhaitent vendre ou acquérir un objet neuf ou d’occasion. Vous pouvez mettre en vente autant d’objets ou de services que vous voulez. Les prix doivent être affichés Attention : nous n’acceptons aucunes contrefaçons. Chaque acheteur doit faire ses vérifications. Tout ce qui ne correspond pas à l’intitulé du groupe sera retiré sans préavis. Attention : ce groupe n’est ni communautaire, ni religieux et est ouvert à tous. Vente d’occasion Paris et alentours – 20,687 members. Bienvenue sur notre groupe. Vous vendez, donnez ou recherchez des objets, chaussures, vêtements ou autre sur Paris et ses alentours vous êtes au bon endroit. Pinoy sa Paris Buy & Sell – 1,322 members. Paris : Entre Particuliers. 23,069 members. L’Utilisation du Site constitue l’acceptation des CGU ci-dessous. – La publication GRATUITE d’annonces de VENTE est réservée aux particuliers résidents dans le 75 – Paris. Paris Hotel Network – 5,927 members. Espace d’échanges pour les hôteliers parisiens: conseils, bon plans, recommandations, News, jobs, etc… Pas de pub!!! Merci de répondre aux questions si vous souhaitez vous joindre à nous. ASICS FrontRunner Paris ✦ ASICS FRONTRUNNER France ✦ – 367 members Un crew de 40 ambassadeurs, issus des quatre coins de l’Hexagone, unis par une même passion. Parmi eux, 24 parisiens, qui ont envie de partager leurs runs avec vous. Rejoins-nous pour une (ou plusieurs séances) ! Tu trouveras dans ce groupe toutes les infos sur les événements mis en place par le crew, et accessibles à tous. CrossFit Original Addicts Paris – 2,855 members. Groupe de discussion et d’échange entre Addicts au CrossFit, de Paris ou d’ailleurs ! adidas Runners Bastille – 8,136 members. Bonjour et bienvenue dans la meilleure team de running de Paris ! Oui, tous les quartiers disent la même chose, tu apprendras qu’on est comme les autres teams… mais en mieux 😉 • Qu’est-ce que l’adidas Runners Bastille ? adidas Runners Bastille est une équipe de running de l’adidas Runners League organisée par adidas. Logement, colocation & Sous location sur Paris – 71,529 members. A la recherche d’un nouveau logement sur Paris ? Faisons appel à l’esprit de l’entraide et échangeons nos annonces dans cet espace! N’hésitez pas à signaler le moindre soucis. Chez Queer Paris – 3,502 members. This is a group for all the queers and queer allies of Paris to help you find lovely housemates and safe happy homes. Post ads if you’re looking for a place to stay, a new roommate, a sublet, or just folks to start a new home with. Paris (France) appartement/chambre/maison à louer/Flats/House/Room For Rent – 9,351 members. Please see the pinned post .There are so many accommodations for rent in the pinned post.Please watch the video given in website of pinned post for details.U will get pinned post written on the top of the group & click on it. PARIS: Location appartement, Colocation, Sous-location chambre à louer 93,604 members. Nous avons créé ce groupe pour vos permettre de trouver et de proposer des logements à Paris. Colocation Paris | La Carte des Colocs – 22,517 members. PARIS: Sous-location appartement, Location temporaire – 31,761 members. Location appartement Paris – 113,422 members. Location / Colocation à Paris – 38,629 members. Paris Appartement, Chambre, Sous-location, Colocation, Maison à louer – 81,319 members. Bienvenue au groupe officiel d’Alpaca pour offrir et rechercher des chambres et appartements à louer à Paris! Pour t’inscrire, clique sur «+ Rejoindre ce groupe» et tu seras bientôt accepté. Super! Qu’est ce-que je fais maintenant? : A partir de maintenant, tu peux commencer à publier dans notre groupe. Nos groupes ont été créés pour faciliter le processus de recherche d’un nouvel appartement, d’une chambre, d’un locataire ou d’un colocataire. Bien qu’il n’y ait pas de directives spécifiques, nous sommes sûrs que l’ajout d’images à ton message, ainsi qu’un prix clair et une description détaillée avec les dates et lieux d’intérêt, rendra ton message plus réussi. Tu seras contacté par des personnes réellement intéressées. S’il teplaît, évite d’ajouter des liens externes si possible! Nous te demandons également d’être courtois envers les membres du groupe et d’éviter de t’exprimer en utilisant un langage diffamatoire, offensant ou violent. Rooms, flats and apartments for rent in Paris, France – 6078 members. Welcome to our group.. We only accpet live-videos or videos of your apartment. Vélos volés Paris/Banlieue – 1,489 members.Bienvenue sur le groupe ! Si par malheur votre vélo se fait voler n’hésitez pas à informer les membres de ce groupe en postant tout simplement une photo de votre vélo en expliquant les circonstances du vol ( heure, lieu, modèle du cadenas aussi…). Ainsi en informant un maximum de personnes votre vélo a plus de chances d’être retrouvé, dites vous que c’est comme si les membres de ce groupe une fois informés du vol devenaient des caméras mobiles dans Paris et sa Banlieue capables de reconnaître votre vélo  Vous pouvez aussi demander des conseils pour les antivols et autres… Avec tous les posts cela permettra de créer un dossier consultable par tous ! Budget participatif de Paris – 1,104 members. Informations, ressources et conseils autour du budget participatif de Paris. Disneyland Paris For Brits 134,029 members. This is a page to discuss anything to do with Disneyland Resort Paris, please feel free to ask questions and share helpful information. Once accepted into the group please read through the group rules and info in the pinned post at the top of the main group page. Shakespeare & Co Group – 4,998 members. Shakespeare And Company is an independent bookstore located in the 5th arrondissement, in Paris’s Left Bank. Shakespeare and Company serves as both a bookstore and a lending library, specializing in English-language literature. The upstairs also serves as a makeshift dormitory for travelers, known as “tumbleweeds,” who earn their keep by working in the shop for a couple of hours each day. This group is attached to the bookshop wiithout being th library so the members must know that no order must be made and posts can be posted which have nothing to do with the bookshop but must be adequate Shakespeare and Company. Paris BON PLAN [  Job,appartement,wanted colocation, STAGE, location ] – 218,657 members. Musicians in Paris – 413 members. Creatives in Paris – 825 members. Creatives in Paris (CIP) is a group for PROFESSIONAL creatives (food, fashion, writing, art, photography, video, etc) in Paris to connect, network, and collaborate. Students, please wait until your education is completed to join. Paris Bartender Community – 3,035 members. PBC est une plateforme d’échange permettant aux bartenders parisiens de se retrouver en ligne et de partager leurs demandes. Naturalisation – PARIS – 2,222 members. Posez vos questions ou partagez vos expériences. Noyés dans la masse des groupes où plusieurs préfectures sont concernées ce groupe est UNIQUEMENT dédié aux demandes de naturalisation soumises à la préfecture de Paris. Tolérance, respect et solidarité seront les devises du groupe. Aucun manquement à ceux-ci ne sera toléré. Pokémon GO Paris – 10,467. Mise en place d’un groupe rassemblant enfin toutes les teams pour une meilleure communication et organisation des événements Il s’agit d’un groupe à gestion participative, n’hésitez pas à proposer vos idées pour qu’on puisse dynamiser notre communauté et profiter au maximum tous ensemble !